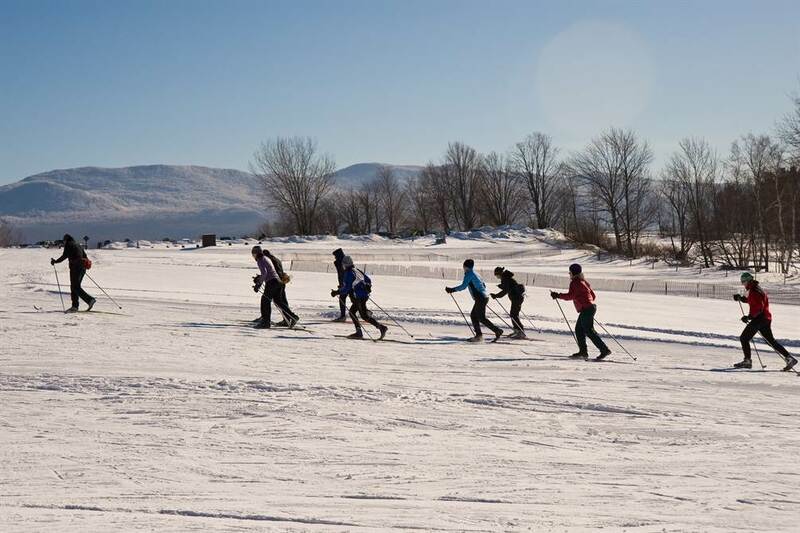 Thank you for helping us celebrate 50 years of cross country skiing here at Trapp Family Lodge! We are proud of our Nordic ski heritage and look forward to the next 50 years. Mountain Bike to the Bierhall on Hop Over for lunch or apres bike. Parking for trail network access is welcome at the Bierhall. Stop in the Outdoor Center for sale prices on skis, poles, boots and bindings. We also have winter clothing and footwear on sale. The latest spring and summer clothing, footwear and outdoor products for the entire family are here! Hiking shoes by Salomon, clothing by Patagonia and Kuhl, Camelbak hydration, souvenir shirts, sweatshirts, caps, and much more. The purchase of this pass offers unlimited access to 100 kilometers of cross-country, snowshoe and back-country skiing trails on over 2,500 acres. Click here to purchase.